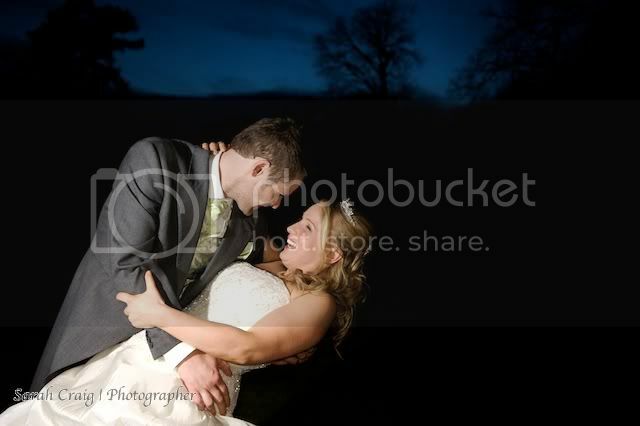 Just uploading my images now and cannot resist sharing this one with you! Inspired(/ripping off!) a couple of beautiful photographs i've seen by other photographers recently I was desperate to take an image like this one with Louise and Richard, being drama teachers I knew they'd love it. Fantastic day today and yesterday. I definitely don't want to give back the amazing D700 camera in the morning. But I need some rest now, keep your eyes on my blog for the portraits from yesterday and the complete selection of favourites from the wedding.